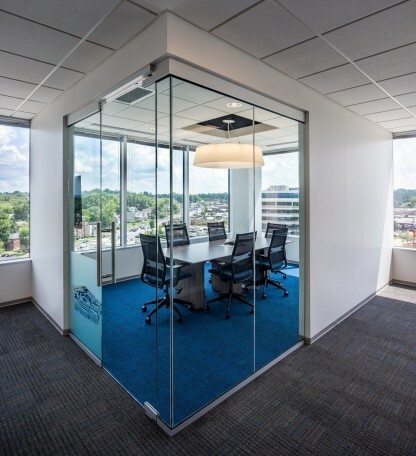 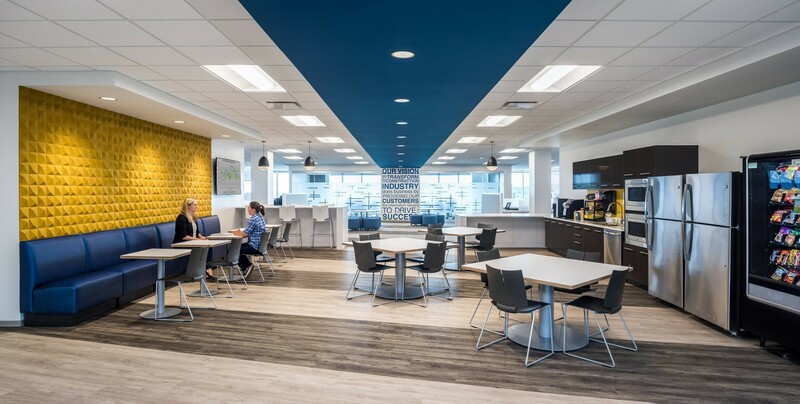 ConstructConnect’s award-winning Headquarters & Innovation Center exemplifies market advantage through creative design. 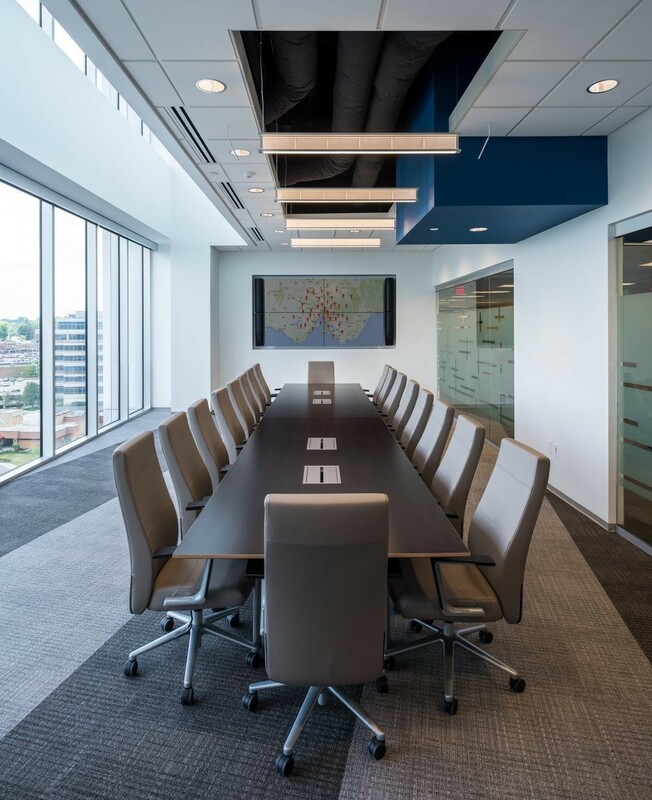 During this project, the company formerly known as iSqFt merged with three other construction data companies — rebranding themselves as ConstructConnect. Champlin Architecture agilely responded by designing its new headquarters atop Rookwood Exchange to reflect this merger and support collaboration among the four companies. 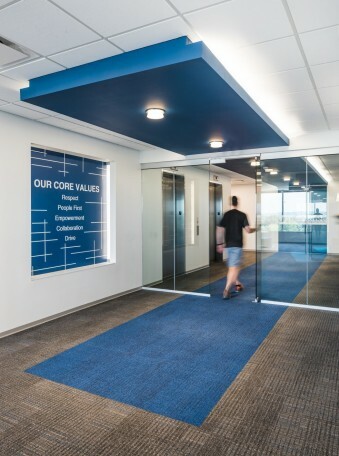 The new company’s story is presented in the entryway via an intriguing history graphic, integrating design elements from each of the previous companies’ individual brands, while also forging a dynamic new brand aesthetic. 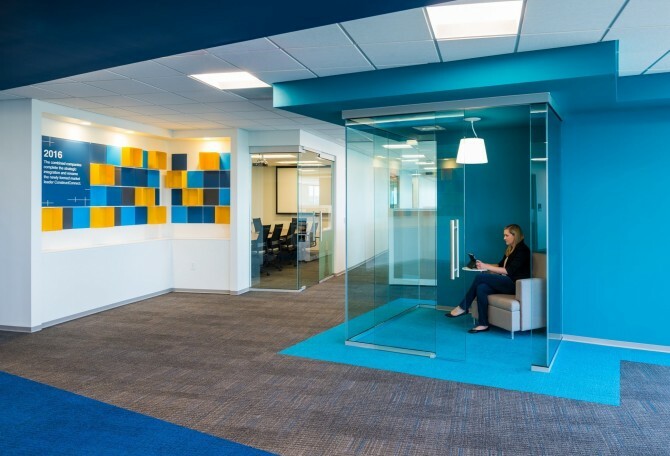 Champlin’s designers creatively distilled this aesthetic into organizational principles based on a grid, orthogonal lines, and shifted cubes — manifested architecturally as phone and focus rooms. Corner team rooms and the boardroom are areas where visitors can cleverly catch a glimpse into the building’s infrastructure. 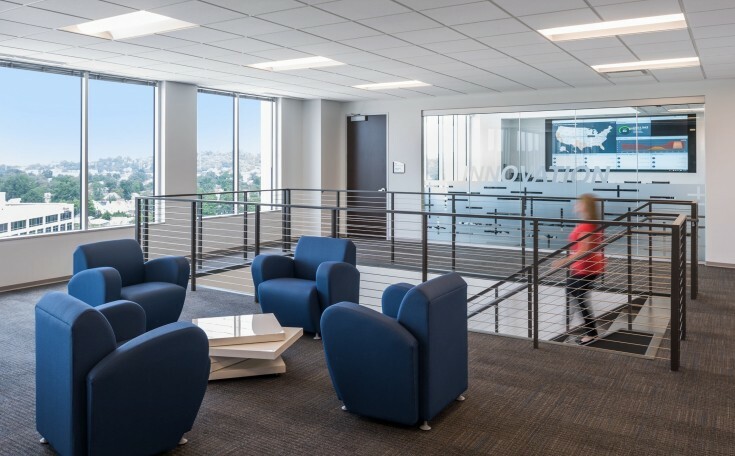 A Zen garden, animated with model construction vehicles, enlivens space under the new open stair which connects both office floors. 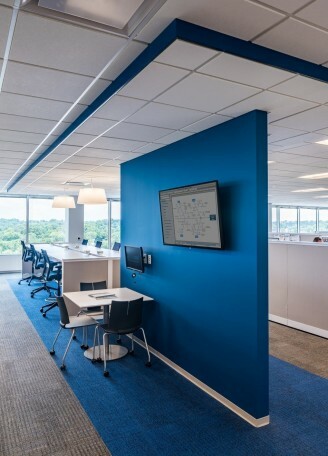 A major element of this 57,000 sf tenant fit-out project was the design of a newly-conceived Innovation Center, which is visible from the reception area and features live feeds of construction data and website activity. This data is displayed on a large monitor array, and the Center can be flexibly expanded into the adjacent employee café via a folding glass wall. 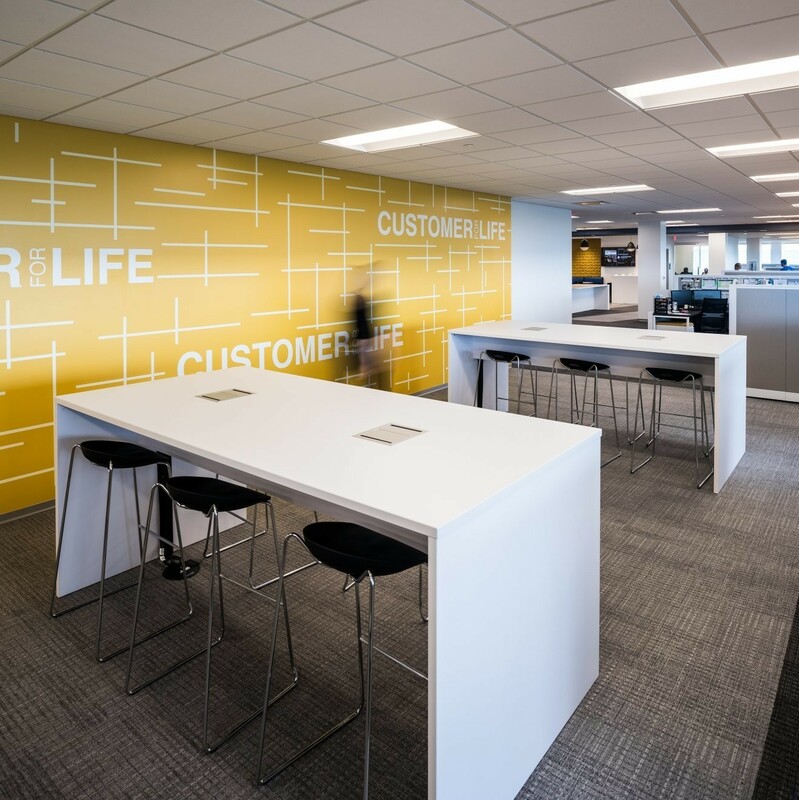 One key success factor was ensuring that the tour path told the story of the company and emphasized its core values. The path also shows the real-time activity and mission of the company, expressed architecturally via the history wall. 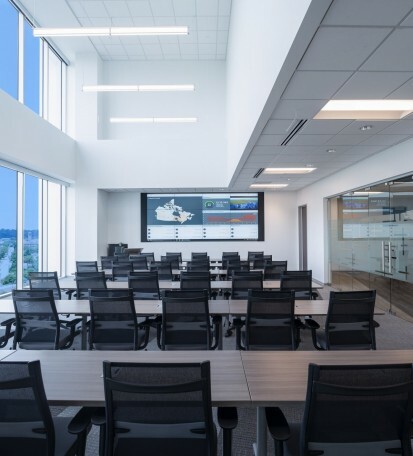 Display monitors are visible along the tour path as well as large scale graphic wall art. 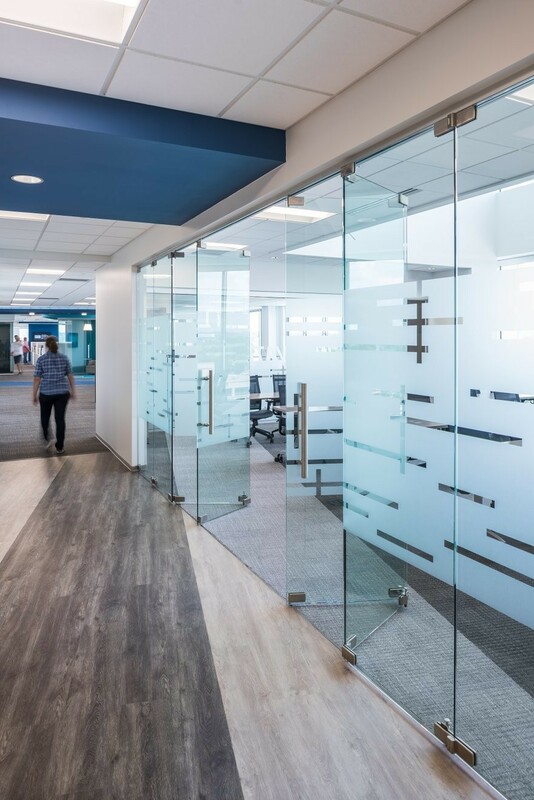 Overall, the leadership team recognizes the space as a market advantage to visiting customers and also for employee recruitment. 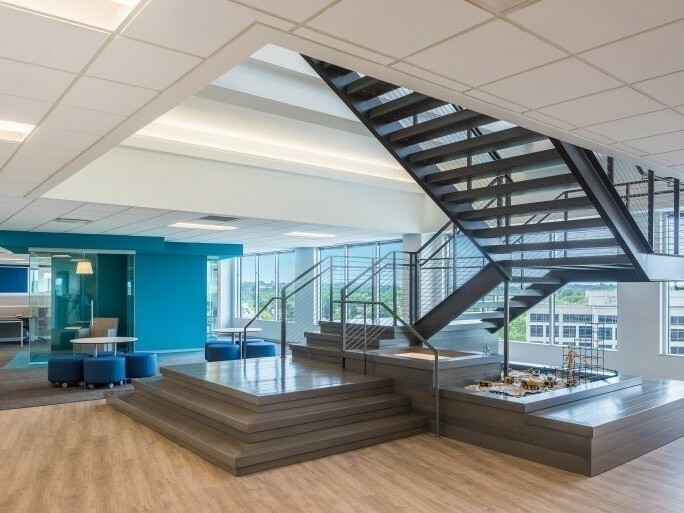 Champlin received a Kimball Design Down Under Award for interior design of this project.